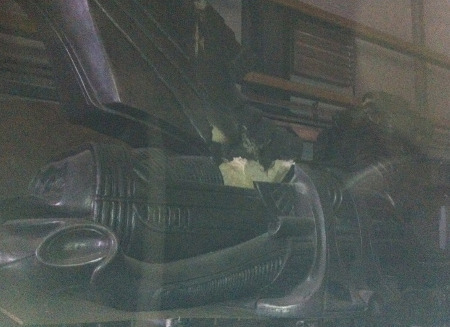 Alien Bee: Do These Leaked PROMETHEUS Images Show Us The Space Jockey? 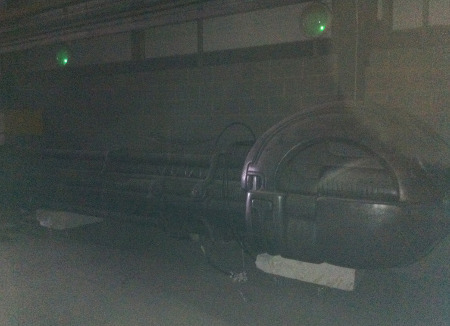 Do These Leaked PROMETHEUS Images Show Us The Space Jockey? 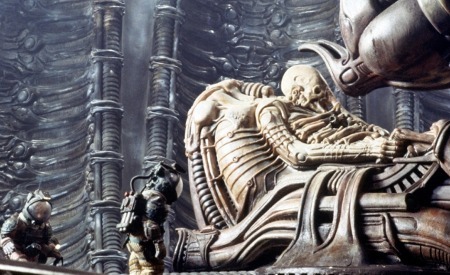 Ok, see if these leaked images from Ridley Scott's PROMETHEUS look like they could be of the Space Jockey. Up top are the two new "blurry" images we have and at the bottom is an image of the actual being from Alien. If it's not the Space Jockey it does look like that thing or maybe a piece of it whatever he's attached to, the navigational thing, whatever it is. Prometheus stars Noomi Rapace, Charlize Theron, Idris Elba, Logan Marshall-Green, Ben Foster Michael Fassbender and will hit theaters on June 8th, 2012.